Defying the rules of the proscenium theatre, Pradeep Vaidya’s Kajvyancha Gaon connects the audience to the characters in letter and spirit. 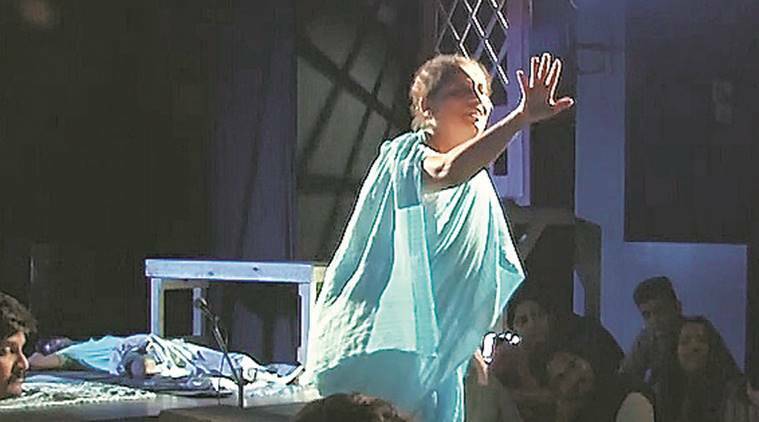 Set in an imaginary village in Konkan, the play is about the Dixit family as they struggle with their interpersonal relationships, in today’s ever-changing society. 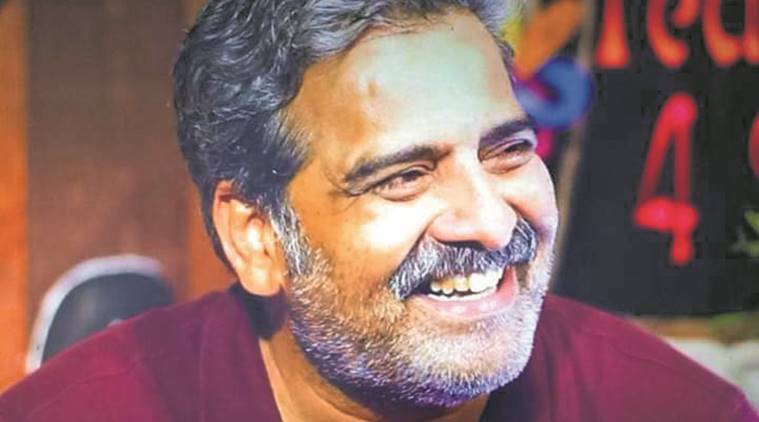 “It was in 2007 when I wrote a play Sahastrachandradarshan. Now, nearly 10 years later, Kajvyancha Gaon, with a completely different story, mirrors the same plot. It was as if two writers had written over one plot,” says Vaidya. The story is about five siblings and their respective families. What happens when they come together to celebrate their mother’s 80th birthday? This basic essence seems pretty straightforward, but as the story unfolds, one gets to see the complexity of human emotions and how the changing times have come to shape our expression of them. The play presents what time and place and technology have done to families, and how each of us strives for a better sense of individuality becomes the leitmotif of the play. 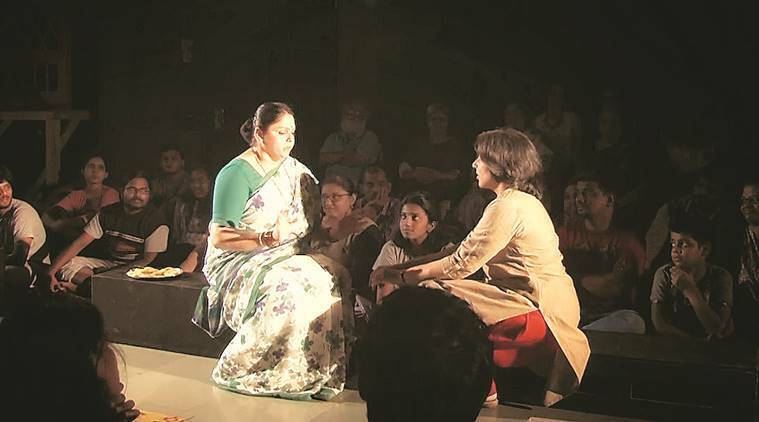 While the storyline runs at a harmonious pace, what keeps one engaged is how the entire hall has been made into a stage, with the audience sitting in the centre. Performances happen on either sides, or sometimes, right beside the audience. This leads to a heavy sense of involvement in the high-intensity drama, taking the viewers on a roller-coaster ride of emotions. “This wasn’t how it was planned. Initially, we did try it out in the proscenium theatre. However, it became tedious and cumbersome to manage the set and the finances. We then decided to shift it to another venue, Sudarshan Rangamanch. We chose to have a minimalistic approach to the technical aspects of it and focus more on the performances. It took us six months to stage the current style of presentation,” says Vaidya. Another crucial aspect which enhances the experience of the viewer is the light design. Oil lamps have been used to create the feel of a village when it gets dark after sunset and the electricity is cut off for most part of the day. Minute details have been taken care of while keeping in mind the minimalistic perspective. Upon being asked why he chose to work out the light design himself, he says, “As a writer-director of the play, I could visualise the scenes in a better way than a third person would have, and then, if I can do it, why should I employ someone else?” he says.